These treks are for those of you with a real sense of adventure and who want to get deeper into the jungle. Or perhaps you wish to simply spend time and relax in an amazing jungle environment. They are an example of what we can arrange for you so drop us an email, tell us about yourself, what you want to do and perhaps see and we can advise on the perfect option. two different locations and two nights jungle camping. 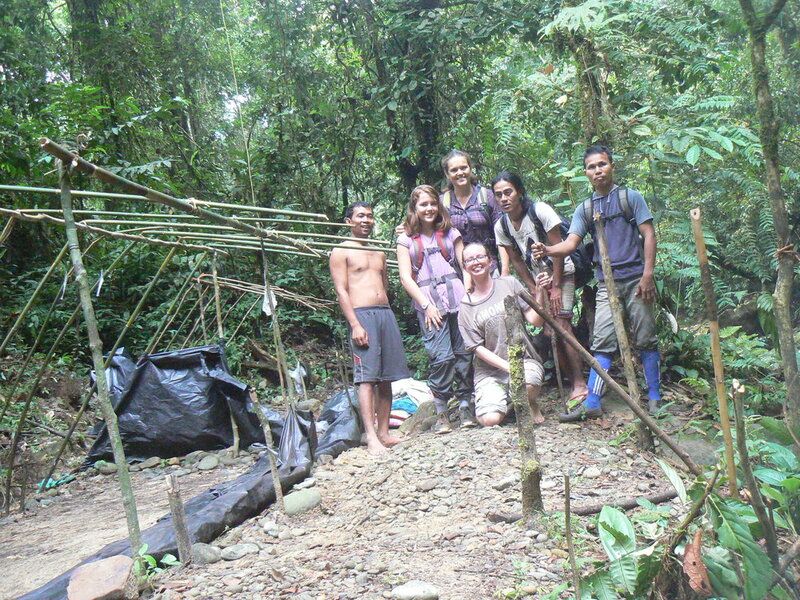 On the 3 day Discovery Trek the great thing is you get to see both the classic trek area of Bukit Lawang along with its habituated widlife and then transfer to the remote area of Bukit Kencur and embrace a virtually pristine jungle atmosphere. With having the 3 days you have a full day in the middle where you are focusing solely on trekking and going a little deeper into the jungle: you will not be packing your rucksack to go into or out of the jungle or transferring between locations, you will simply be trekking. Day 1: After an early breakfast you will walk down river and enter the national park to begin your 1/2 day trek Bukit Lawang. After approximately 3 hours trekking, lunch and return by river rafting you will transfer to Bukit Kencur and continue your trek. You will aim to get to your jungle camp around 3-4pm where you will sleep in a bamboo frame tent covered with thick plastic sheets and your evening meal and breakfast will be cooked on an open campfire. Day 2: Today you will have a full day trekking and exploring OR you can relax at camp and purely soak up the jungle atmosphere whilst keeping lookout along the river and in the treetops. Day 3: Today is your last day and you will continue your trek until after light lunch you will make your way out of jungle and transfer back to Green Hill. Includes: all permits (national park and guide association), guide, assistant, tracking guide, fruit snacks, all meals and drinks, camp cook, porter, rafting captain, rafting equipment/porter, return motorbike transfer. if you want a jeep transfer add 400,000 idr onto the cost. two different locations, one night at Base Camp with a night walk and 2 nights camping. Day 1: After an early breakfast you will walk down river and enter the national park to begin your 1/2 day trek Bukit Lawang. After approximately 3 hours trekking, lunch and return by river rafting you will transfer to Bukit Kencur and continue your trek or depending on the time and weather you will go straight to our Base Camp on the national park border where you will stay for the night. You will have the opportunity to go for a few hours night walk to look for nocturnal wildlife such as owls, palm civets and maybe even slow lorises! Day 2: Today you will trek directly from Base Camp into the national park which makes up your amazing view and have a full day trekking and exploring before making your way to the jungle camp for around 3-4pm. You will sleep in a bamboo frame tent covered with thick plastic sheets and your evening meal and breakfast will be cooked on an open campfire. Day 3: Today is simply a full day of trekking OR you can relax at camp and purely soak up the jungle atmosphere whilst keeping lookout along the river and in the treetops. Day 4: Today is your last day and you will continue your trek until after light lunch you will make your way out of jungle and transfer back to Green Hill. 5 day Trek: Bukit Kencur to Bukit Lawang. A real explorers trek where you move campsites every night and trek through seldom visited areas. Batu ronggring - Bukit Kencur - Bukit Lawang. For further details about any of these options just drop us an email or whatsapp.